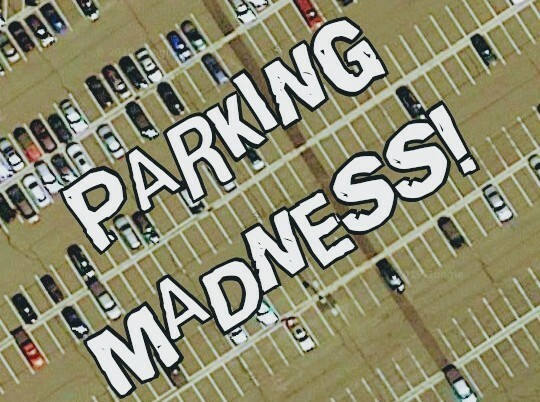 On Monday we voted on the worst parking craters in DC and Virginia. Today eight more craters will go head to head, including three in Montgomery County and four in Prince George's County. Which lots from the Old Line State are bad enough to advance to the second round? 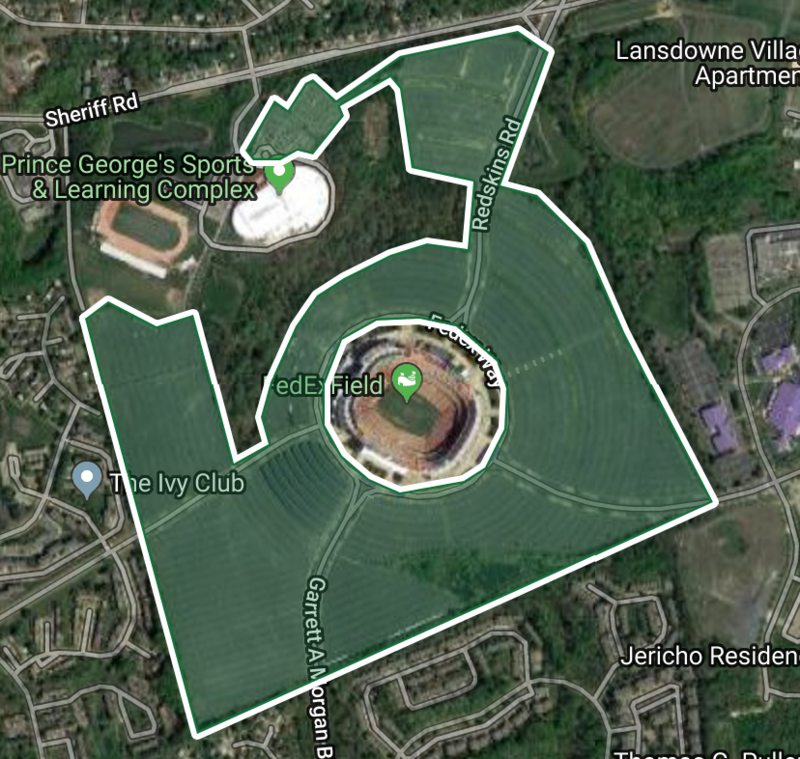 FedEx Field has by far the largest parking footprint in this tournament, which isn’t surprising for a stadium originally designed to hold over 90,000 patrons. Despite paring down stadium capacity several times, the number of parking spots has remained the same. Washington Football Team owner Dan Snyder often requires season ticket holders to purchase a parking pass, despite decent access to the Morgan Boulevard Metro station. Snyder's unscrupulous parking policies are notorious, and he even attempted to charge fans for walking to the stadium from Metro on game days. Perhaps all this has contributed to the mass exodus of season ticket holders. The site usually remains completely fallow more than 350 days a year, and with each disappointing football season that passes, its utility wanes for the few days a year it does get used. M Square is an office park near College Park Metro station with two Purple Line stations under construction. 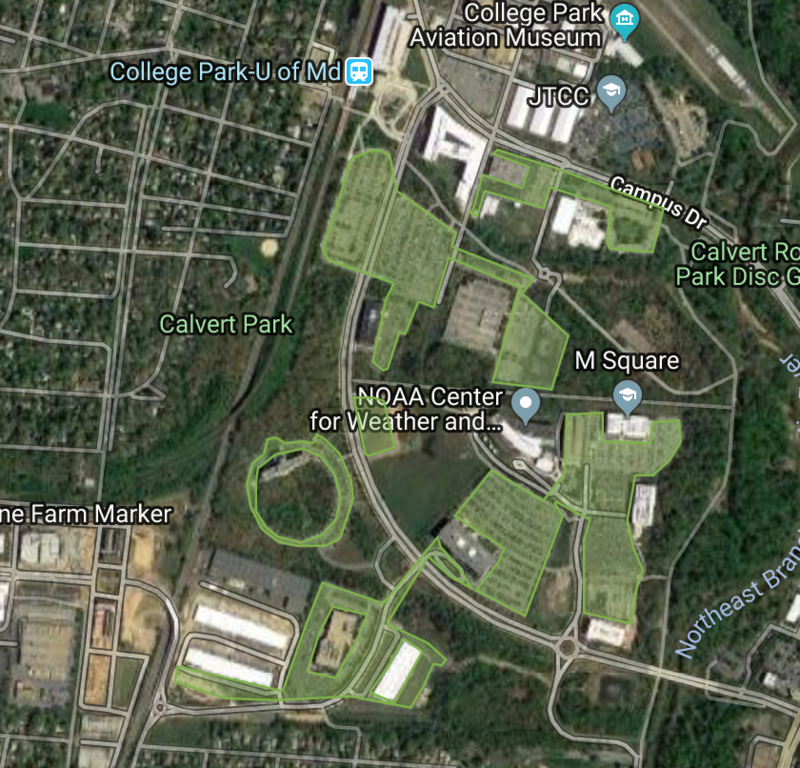 The area enjoys proximity to the University of Maryland, but despite these wonderful amenities, M Square has been built out as a series of disparate suburban office parks fronted by acres and acres of parking. Development is coming to the area, but what exactly will go there is still up in the air. Will it become more walkable with additional transit access? Or will the government tenants who live on much of the site prefer to keep their automobility a top priority? Prince George’s Plaza is a closed mall just north of its eponymous Green Line station. The area has seen a housing boom in recent years, but the mall’s Black Friday-ready parking lots create a crater smack in the middle of what is otherwise an extremely successful suburban retrofit development. The mall creates a superblock that stifles an already-spotty pedestrian environment punctuated by a lack of decent crosswalks on East-West Highway and median fencing to reduce jaywalking. 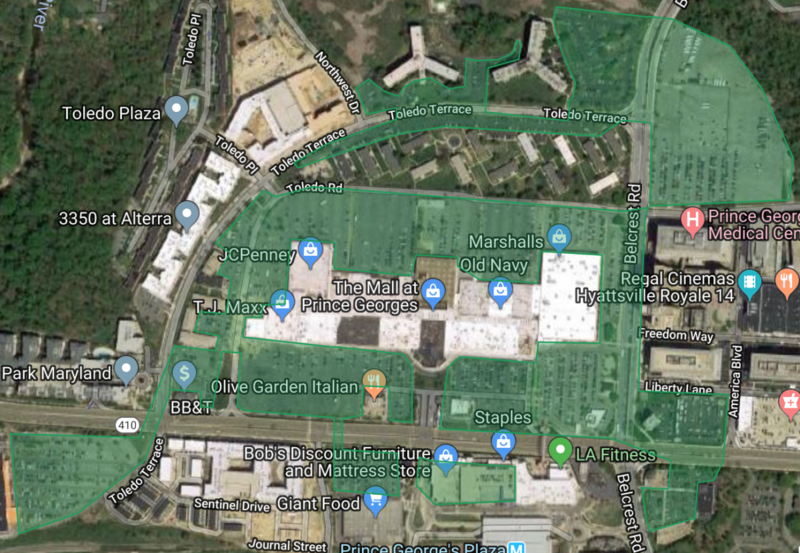 Lofty development goals have been proposed for Prince George’s Plaza, but for now the site will remain an enclosed mall surrounded by a sea of parking, and the area will remain unhospitable until that changes. New Carrollton is a major transit hub. 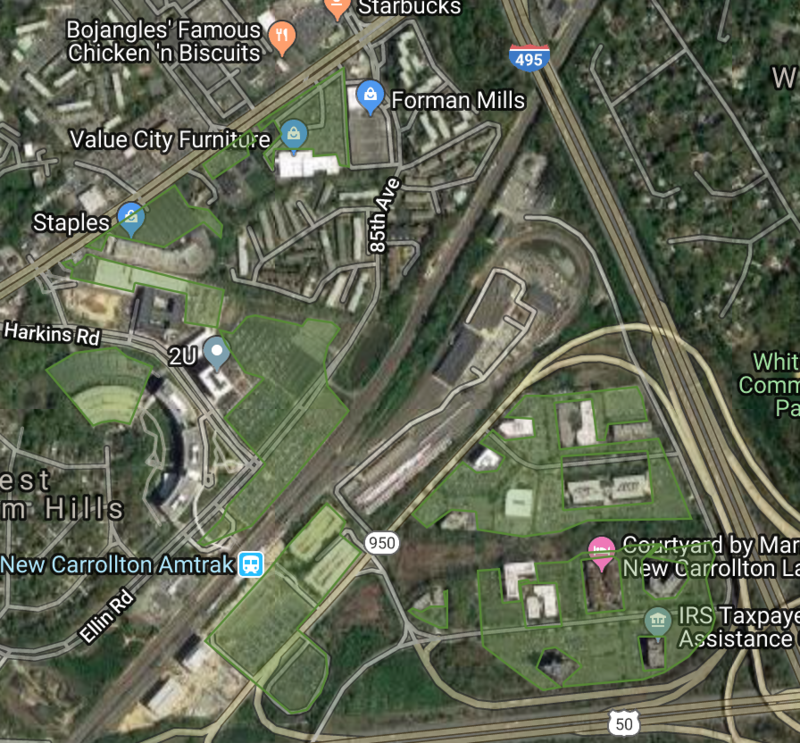 With Metro, MARC, Amtrak, and a future Purple Line station, New Carrollton has a great deal of potential as a transit center. Unfortunately, the office park design of much of the area creates vast expanses of parking one must cross to navigate from just about any building in the area to the station. Though plans for its redevelopment have broken ground, the site languishes in parking purgatory for now. This vibrant multi-ethnic hub of amenities for multiple immigrant communities has so much to offer. 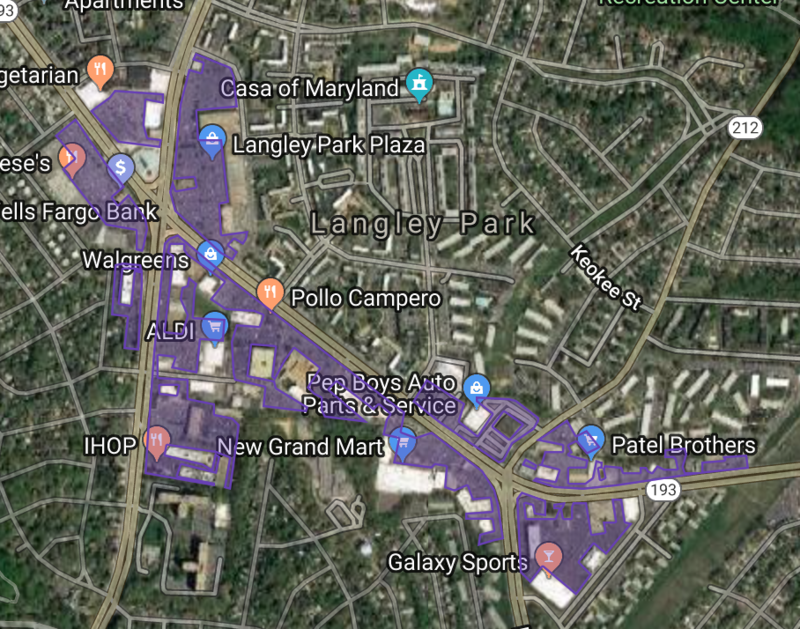 The new Takoma-Langley transit center serves several prominent bus routes and will feature a Purple Line station upon that project's completion. Unfortunately, huge parking lots fronting all four corners of this intersection mar the pedestrian environment. Centered around the notoriously dangerous intersection of University Boulevard and New Hampshire Avenue, huge parking lots on all four corners of this intersection make the clear statement that, despite the density of residents, amenities, attractions, and jobs, this area is for cars and not people. 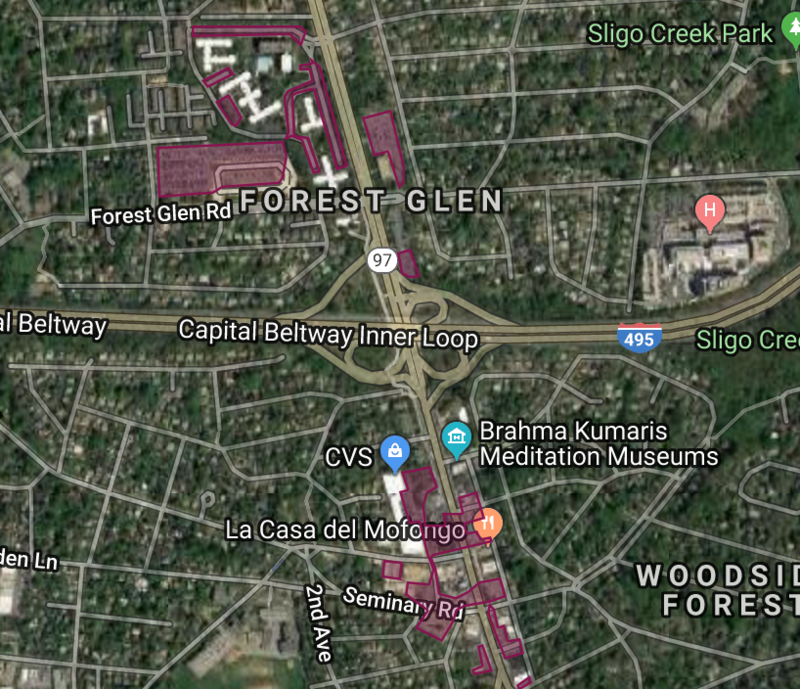 Montgomery Hills is tucked right underneath the Beltway between Silver Spring and Forest Glen Metro stations. The stretch turns into a car sewer during rush hours, exacerbated by the multiple curb cuts into parking lots and the corridor's awful reversible lanes, which the county began finding ways to reconfigure. 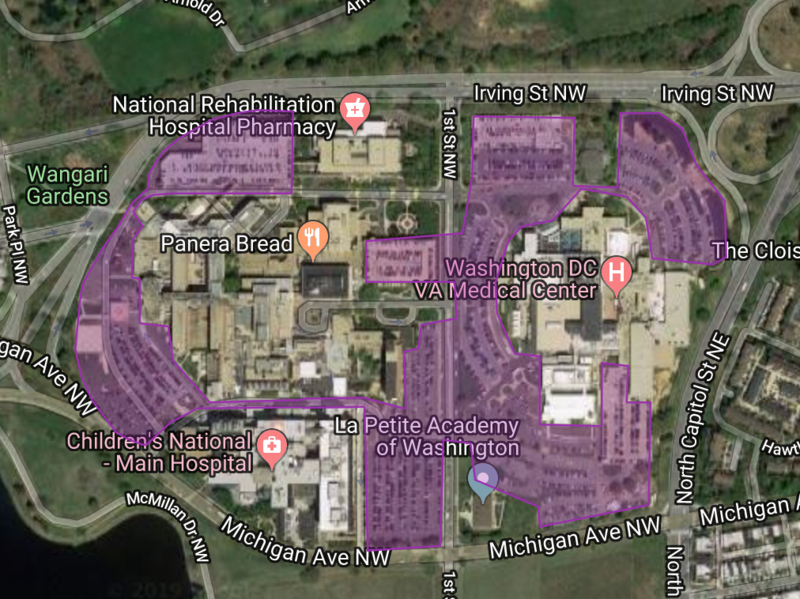 The campus of Washington Hospital Center, Childrens Hospital, and the VA Hospital is a vestige of DC's abandoned plan to criss-cross the city with freeways. Fortunately, that vision was never achieved. Unfortunately, the hospital campus was designed for this environment, surrounded by high speed roads with freeway geometries, including a cloverleaf interchange just northeast of the site. Situated about halfway between Brookland and Columbia Heights Metro stations, this sea of highways and parking creates a chasm between two of the more walkable parts of the city. As areas around the hospital center move forward with new development, this site will continue to serve cars over people for the foreseeable future. 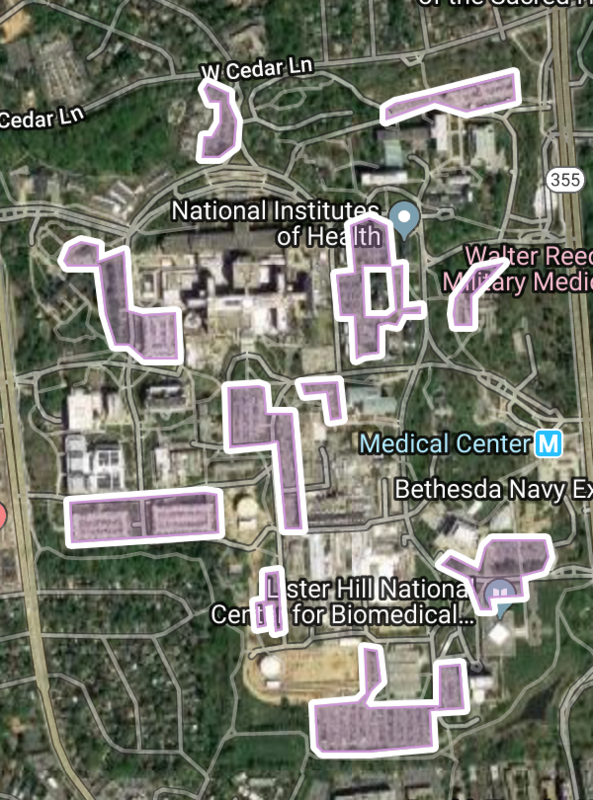 In addition to having prime real estate just north of bustling downtown Bethesda, NIH has a dedicated Red Line Metro station on its campus. Despite close proximity to thousands of housing units and a Metro station, the site's spread-out, suburban design invites more employees and visitors to drive to the campus rather than walk or take public transit. The vast campus is so sprawling that one might even be inclined to drive to different parts of the campus. Hence the entire campus is littered with parking lots for each standalone facility. The master plan caps parking in future development, but removal of existing parking seems unlikely. Check back next week as we delve into round two!